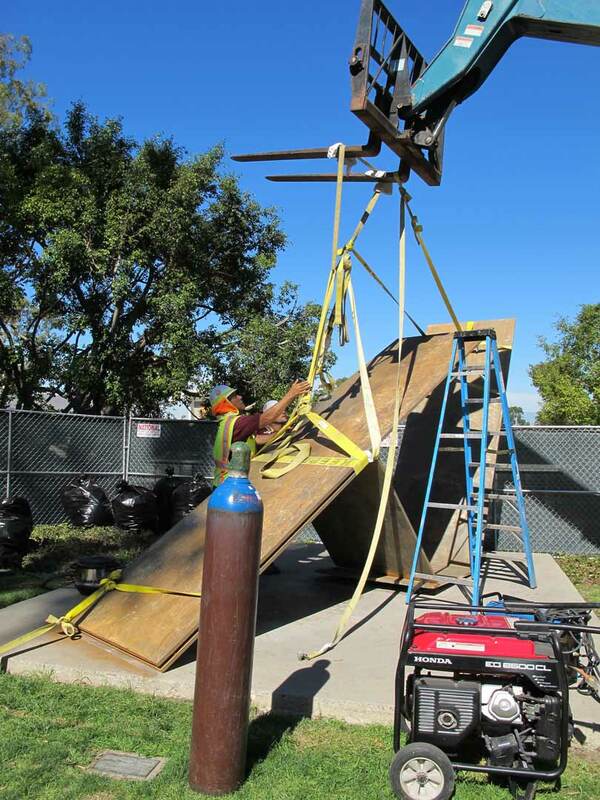 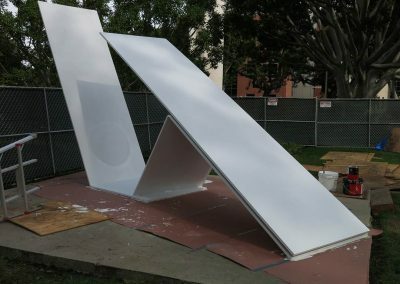 Murray’s abstract painted steel sculpture was created for the 1965 Sculpture Symposium at California State University at Long Beach. 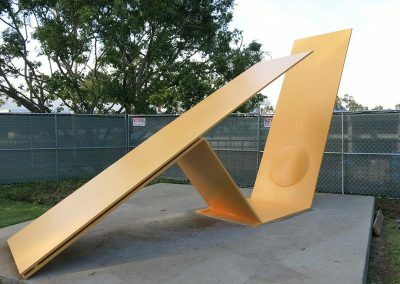 The sculpture is comprised of three separate, 7/8”-thick mild steel sheet elements fabricated by the artist at Bethlehem Steel in Long Beach, using epoxy paints that changed over time and through numerous repainting campaigns. 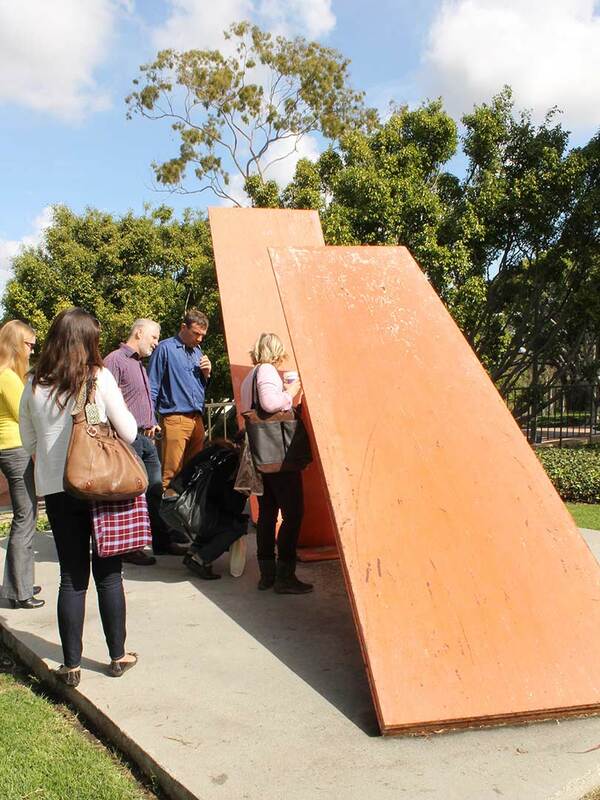 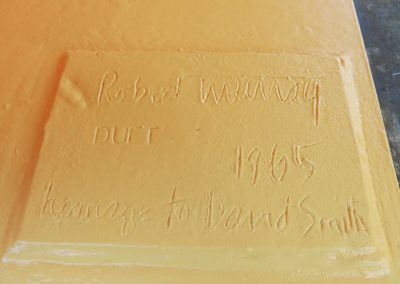 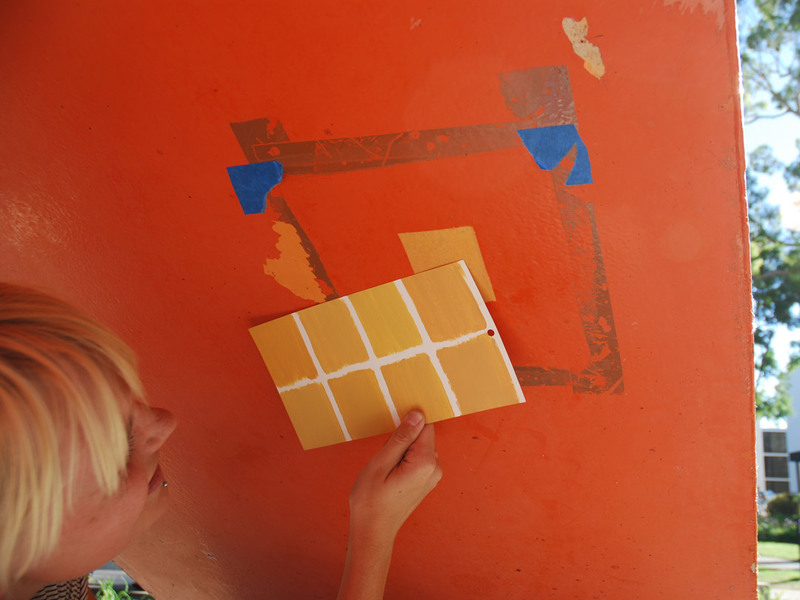 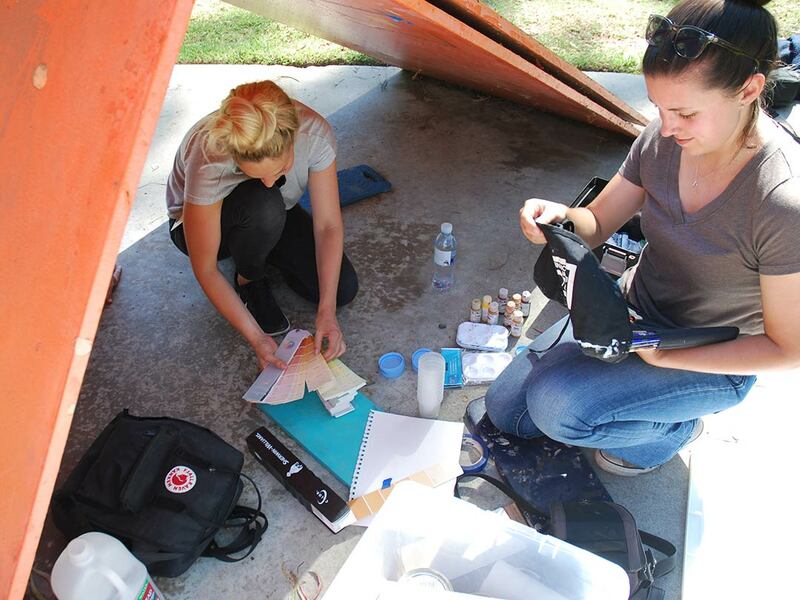 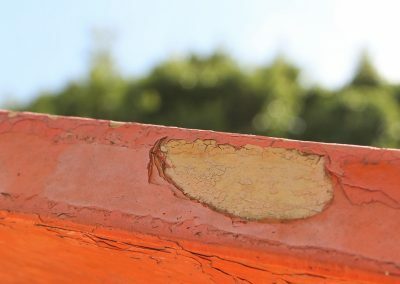 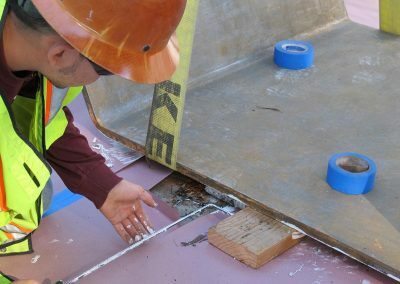 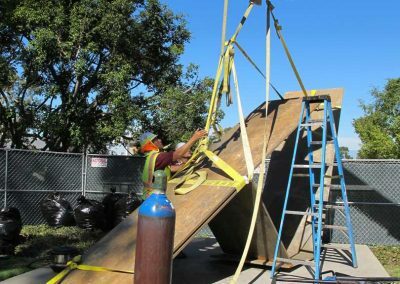 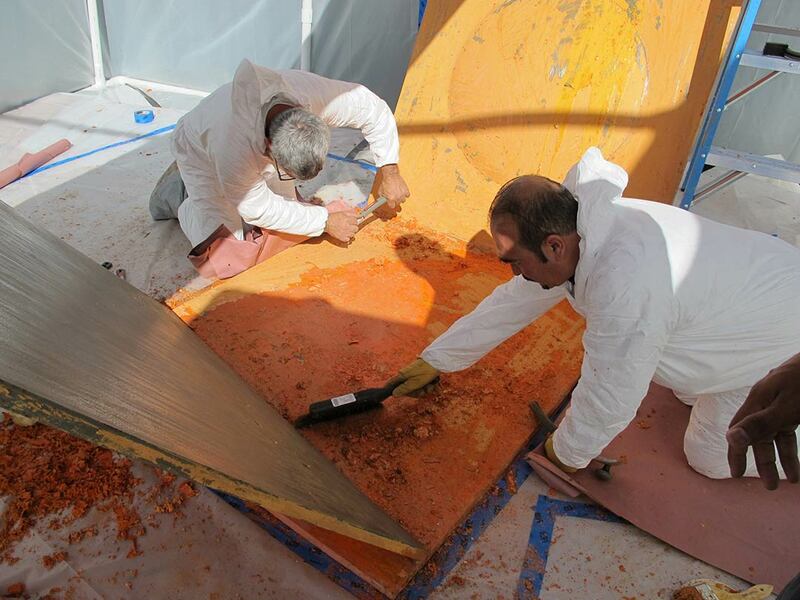 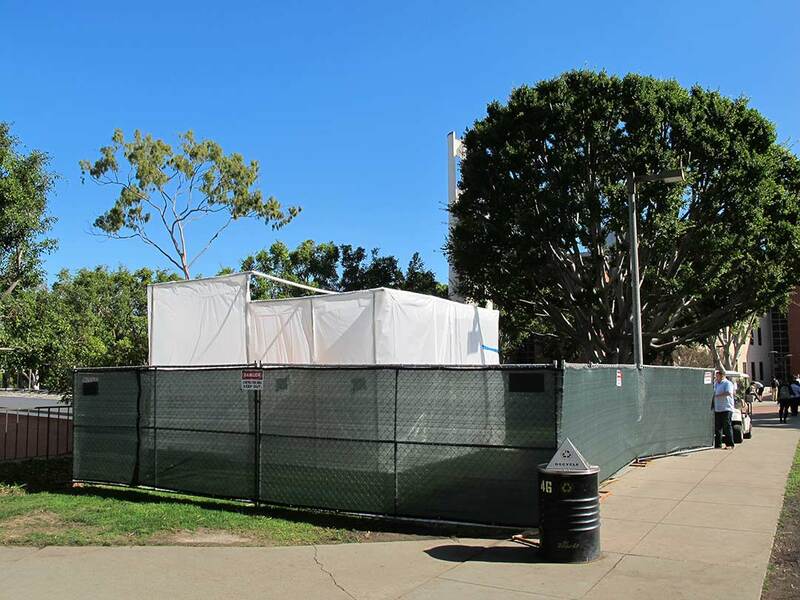 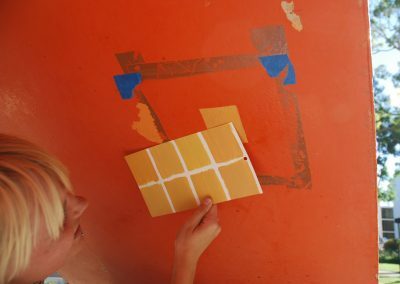 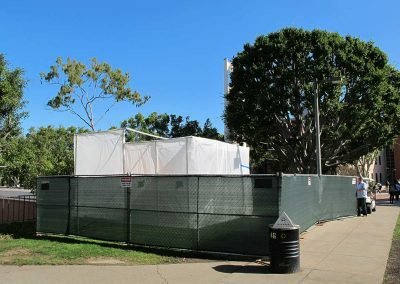 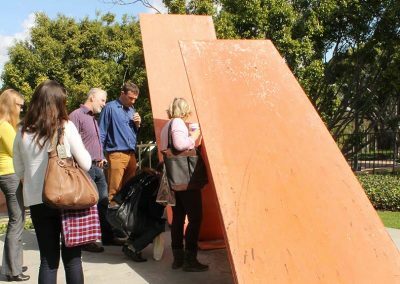 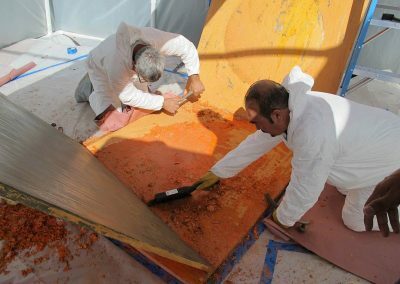 RLA worked in conjunction with the Getty Conservation Institute as part of their Outdoor Painted Sculpture Initiative to determine methods for identifying the original paint colors. 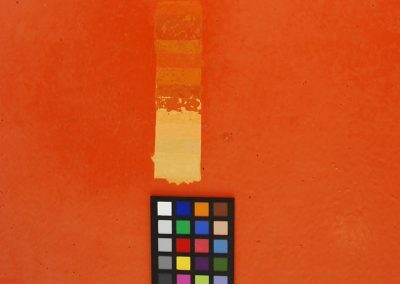 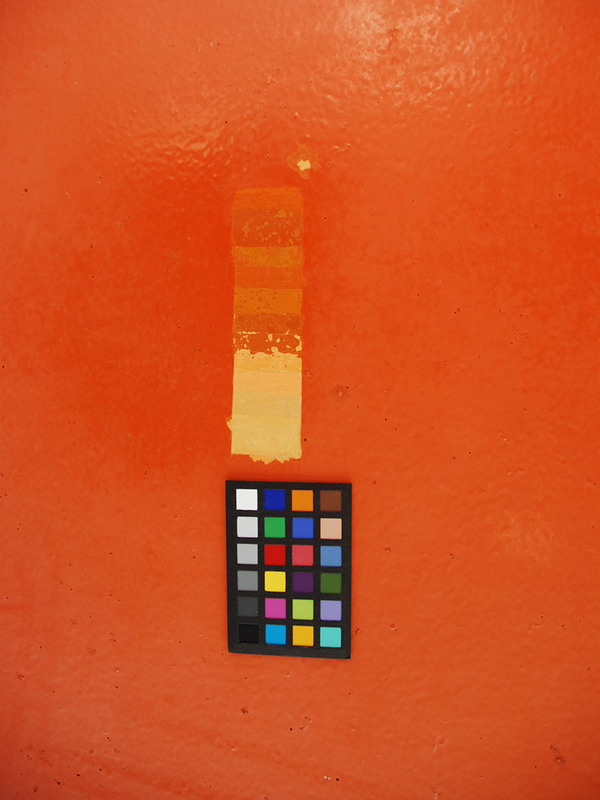 Through excavations on the finish and analytical testing, we determined possible candidate colors, which were presented to the artist for selection. 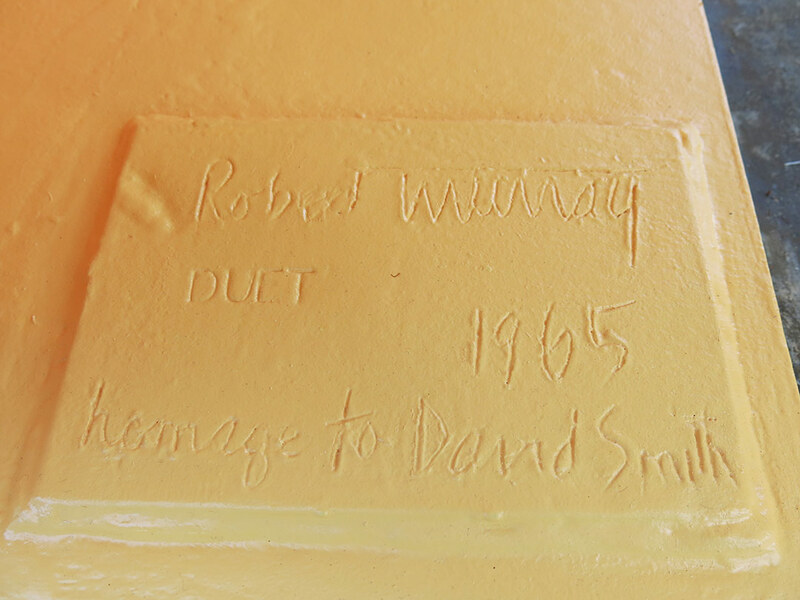 The artist chose the color and reflectance he wanted and the sculpture was abated professionally to remove all lead based paints. 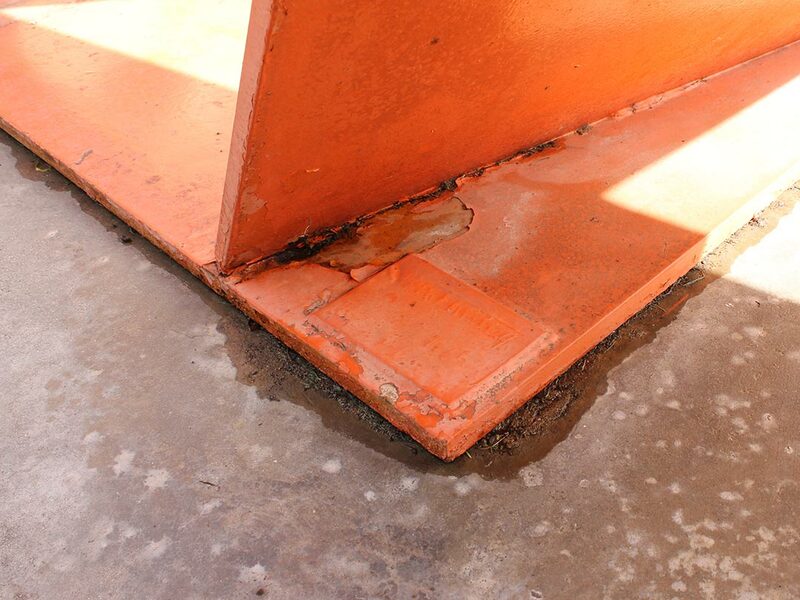 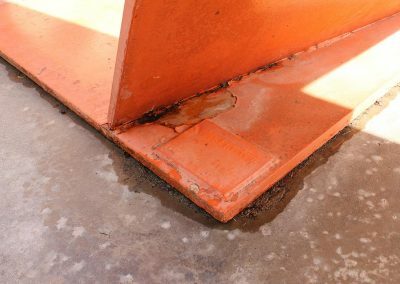 Popped welds were repaired and the sculpture was repainted with the most cutting edge industrial paint system consisting of zinc and epoxy primers and a topcoat with long durability. 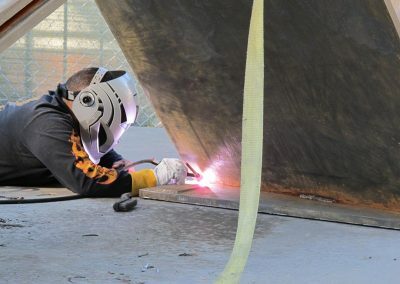 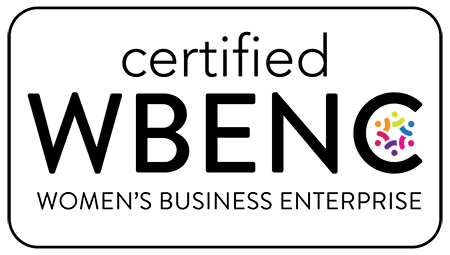 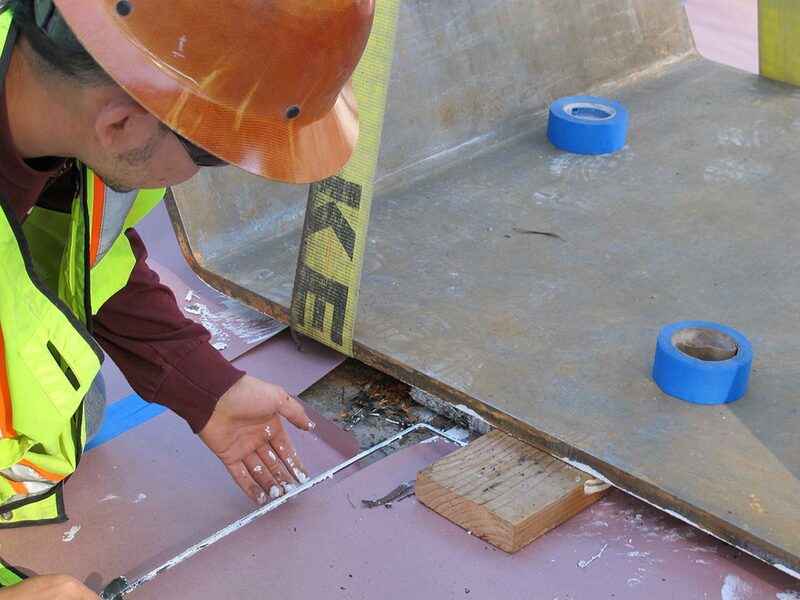 A maintenance plan was created for future care.